Bishop has been fined £3,000 and warned as to his future conduct by the FA panel. 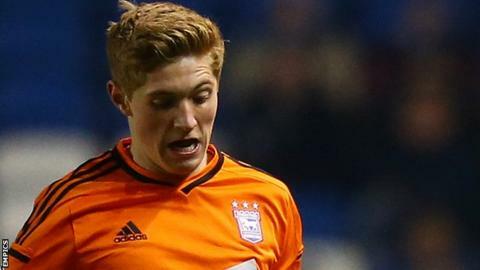 Ipswich Town midfielder Teddy Bishop has been fined £3,000 and warned about his future conduct after a breach of Football Association betting rules. Betting on football is prohibited for "all those involved in the game" according to the FA's code of conduct. Bishop, 18, admitted to multiple breaches of rule E8 in relation to betting and his fine includes any financial gain from the bets laid. "I'd like to apologise to the manager and Ipswich Town," Bishop said. He told the club website: "I have no-one to blame but myself for not being fully aware of the restrictions in betting on football. "I am only young and I'm learning all the time about experiences in life and in football. "This is an experience I won't forget. It has been a massive learning curve for me." Town's managing director, Ian Milne, added: "Teddy has apologised to [manager] Mick McCarthy and the club for his actions. "Like the rest of the playing squad and the club staff in general, he was made aware of the guidelines regarding betting on football matches at the start of the season. "He has accepted his punishment and we have reiterated to him the responsibilities he has as an employee of Ipswich Town Football Club but it is worth noting that the bets were all for small amounts of money and while placed under Teddy's name, were shared amongst his friends away from the game."